Gary L. Herstein, Ph.D began his career in the computer and networked PC industries, where he worked for almost 25 years. During this time he completed an MA in Interdisciplinary Studies at DePaul University, writing his thesis on the group-theoretic structures underlying the concept of identity. Dr. Herstein completed his Ph.D at Southern Illinois University at Carbondale, writing his dissertation on Whitehead's criticisms of the logical presuppositions of Einstein's general theory of relativity. He has taught full-time at Merrimack and Muskingum colleges and part time at Harper college, where the courses presented included Ethics, Logic, Critical Thinking, Process Philosophy and Philosophy of Science. 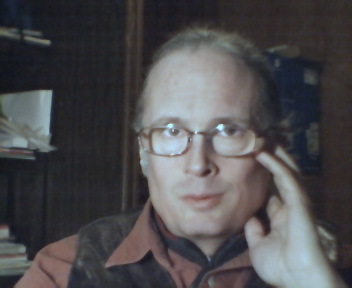 He is currently an independent scholar working on various projects relating to the philosophy of Alfred North Whitehead, the logical forms and presuppostions of measurement, and the connections between spatial reasoning and metaphysics. His publications include Whitehead and the Measurement Problem of Cosmology (ontos-verlag, May 2006), "Alfred North Whitehead" (The Internet Encyclopedia of Philosophy, http://www.iep.utm.edu/w/whitehed.htm) and “Davidson and the Impossibility of Psychophysical Laws” (Synthese 145 1, 2005). He presently keeps house with his three cats, who despair of him ever learning anything interesting.